The Antrim man's one-stroke win in the Corales Puntacana Resort & Club Championship might be the smallest of his 16 professional victories, in terms of money, prestige and world ranking points. But it could prove as significant as his 2010 US Open win, having been forced to seek invitations this year to pad out his schedule after failing to make the top 125 in the FedEx Cup standings last year. "It's a big, big monkey off my back," he said. "I'm really getting myself a schedule mapped out for the next couple years now where I can just settle down and start playing some golf, start playing the golf that I know I can play because I haven't let myself do that lately. "I put too much pressure on myself. I said to you guys yesterday that (my caddie) Kenny Camboy said to me, at some point, I was going to get tired of messing up, and this week I got tired messing up." He added: "It's a relief right now, but this will not only be kind of a satisfying win, but it will be a springboard win as well. It's something I need to use now to kick on. "I've never been to Atlanta, I've never been to the Tour Championship, the FedExCup Play-offs. That's the big goal. That has to be the goal. "We've got The (British) Open Championship at Portrush, which is obviously on my radar. "This will free me up a lot to be able to play the schedule between now and July that I want to play that's going to help me achieve my goals." It was a win that came three weeks after he had a chance to qualify for the Open with a top-10 finish in the Arnold Palmer Invitational at Bay Hill and shot 78 to finish 54th. 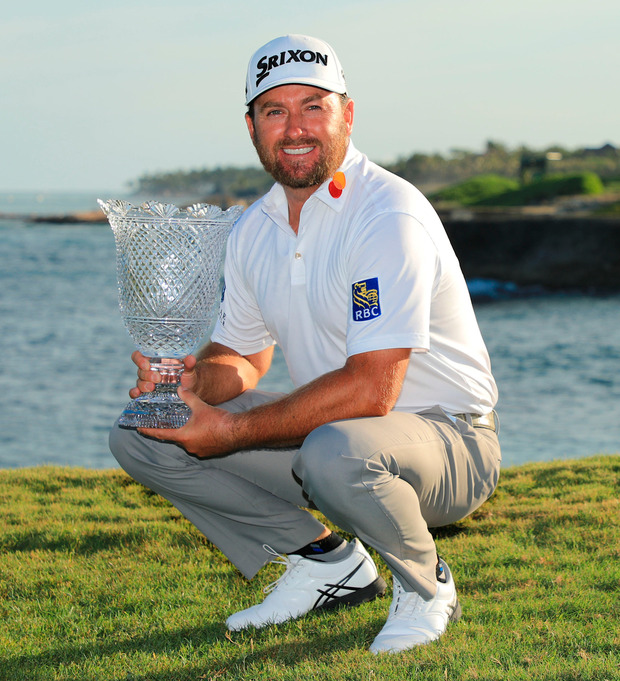 "It's taken a few bad Sunday beats, a few Sundays like at Bay Hill where I walked away very disappointed and very down on myself," said McDowell. The former world number four admitted afterwards that the win was a "massive relief" as he looks to regain his place amongst the game's elite. Now exempt until the end of the 2021 season, he's up to 133rd in the world, 42nd in the FedExCup and flying high heading to this week's Valero Texas Open where the winner will clinch a place in the Masters. There was no maiden win but Leona Maguire can take solace from the way she battled back from a tough start and made a major move in her bid for an LPGA Tour card with her second top-five finish in a row at the wind-blown IOA Championship in California. Leading by one stroke overnight at Morongo GC in her bid for a first professional win on the Symetra Tour, she dropped six shots in her first eight holes as high winds buffeted the course. But she fought back well, carding a five-over 77 to finish two strokes behind winner Jillian Hollis, tied for fourth on two-under-par. The Co Cavan star (24) earned $6,108 (€5,446) to move up to seventh in the Volvik Race for the Card standings with the top 10 guaranteed LPGA Tour cards and avoiding a trip to Q-School at the end of the season. Leona said: "The front nine was borderline unplayable with the wind and ridiculous pins. You couldn't hold the greens downwind, even with a wedge. I played some really good golf this week, just couldn't catch a break yesterday." Maguire remains in California for this week's 54-hole Windsor Golf Classic which begins on Friday. It will be a week off for Stephanie Meadow, who finished tied 55th after a closing 74 at the Kia Classic, failing to qualify for this week's ANA Inspiration, the opening Major of the season.